Coldwater found Gustie’s Volvo station wagon baking in the sun on Highland Avenue across from her building. The steering wheel was hotter than a stripper’s backside, so he clicked on the ignition, cranked the a/c, and checked the directions on his phone one more time. It occurred to him that it might be a good idea to be armed for this excursion, but he’d left his .38 in the safe in his office. In the glove box, he located the .25 caliber pistol that Gustie kept there. When he could manage to grip the wheel without melting, he headed down I-59. In Tuscaloosa, he drove west on highway 82 until he was just a few miles from the Mississippi state line. At a crossroads, a gas station sat across from a diner, both abandoned years ago. He turned left at the crossroads down a county highway dotted with old homesteads, some burned out, some boarded up, all of them overrun with pokeweed, crabgrass, and red sorrel. Behind and between the houses were overgrown fields, thick with vines and more weeds. The address he was seeking looked no different than the others except for an alien-looking bush in the side yard. 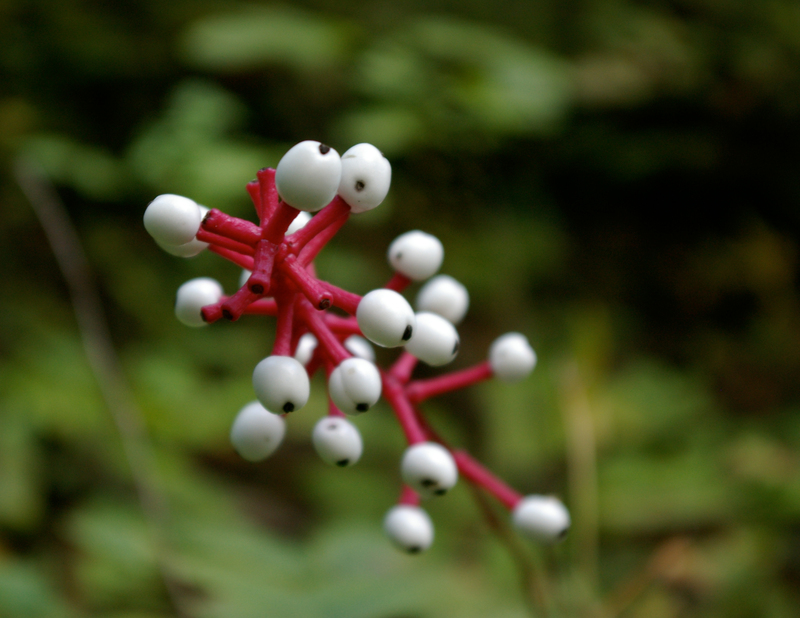 It red stems jutting out of dark green jagged-toothed leaves, and on the stems were little white berries with black dots. It was easy to find in Gustie’s book, a plant called Doll’s Eye. The leaves and roots are sometimes used in folk medicines. The berries are sweet, the book said, which makes it dangerously enticing for children. “Ingestion of the berries can lead to cardiac arrest and death,” it added. An oak tree hanging over the road a hundred yards down past the house provided a relatively shady parking place on the road. Coldwater pocketed the .25 and got out of the car to take a closer look at the place. A gravel and dirt drive started from the road and led around to a barn at the back of the house, and there were recent tire tracks in the dust. He slowly opened the barn door and identified Ponytail’s white Caddy. A rough outline of the events that brought him here started to formulate in his mind. Someone—Ponytail, Ashley Rose, Feizal, or one of the other bartenders on duty that night made a syrup from the Doll’s Eye berries and slipped it into Hornbuckle’s drink. Perhaps more than one drink. Or there was always the possibility that he was suicidal and poisoned himself on purpose. But it was Feizal that was making him drinks that night. He would have had the most opportunity, but no clear motive. In any case, the professor has a heart attack at the bar, which nobody notices in the midst of tiki revelry, and frankly, the professor just wasn’t that noticeable. He was quiet, kept to himself, and drank himself into invisibility. After the heart attack, someone shoves a knife in his chest, which would divert attention away from the bartenders, which again points to Feizal, though he would have to know that the poison would be detected eventually. Meanwhile, Ashley Rose has been blackmailing Hornbuckle to get money out of his wife to help her and Ponytail raise startup money for a new bar. That part made sense to him. Ashley tries to hire him to prove her innocence, and then she turns up dead. Feizal was MIA when that happened, so he could have done it. Perhaps he was in on the blackmail scheme with Ashley Rose. That might have given him motive, especially if the professor had found out who was blackmailing him. But the choking seems more Ponytail’s style, and now Ponytail was on the lam. It could have been jealousy, or maybe Ashley Rose was pushing him out of the action. Or maybe he was just mad that their plans didn’t seem to be working out. Coldwater suspected this was just a pitstop on the way somewhere else far away. The cops would eventually trace his steps here, to his mother’s property in Lyonesse, Pickens County, and though Ponytail had about as much brains as a ham sandwich, he had to know this was a terrible place to hide. It was all making Coldwater a little dizzy. As he stood in the musty barn thinking it through again, he felt a vibration in his pocket, his cell phone. It was Joey Schmidt. Joey agreed to the meeting time, and Coldwater put the phone away. Leaving the barn, he saw a screen door ajar in the back of the house. He used a handkerchief from his pocket to creak it open enough to slip inside. Dust and pollen floated through the dim strands of sunlight that fought their way through the weak spots in the boards. Underneath the smell of dust and cedar and mothballs and cobwebs, the sickly sweet odor of rotting meat accosted him. Ponytail had to have been dead for less than twenty four hours, so the scent was faint, but noticeable. Shining the light from his cell phone on the corpse, he saw a bullet hole in Ponytail’s head. Probably shot at short range with a small-caliber bullet, not unlike the .25 he was currently carrying in his hand. He didn’t need the cops knowing he was the one who found this particular body, especially while he was carrying something that looked an awful lot like the murder weapon, even if a ballistics test would show a mismatch down the line. He decided he’d leave Ponytail here for someone else to discover. This entry was posted in novel and tagged detective novel, doll's eye.